There are few more demanding automotive segments than that of the import compact luxury sedans, and that's where the 2014 Volvo S60 goes toe-to-toe with BMW, Audi, Mercedes-Benz and Lexus. 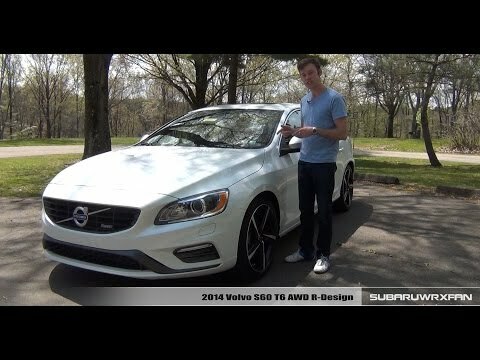 Strong points for the S60 include a stunning exterior (freshened for 2014), a welcoming interior, Volvo's legendary reputation for the utmost in safety and, perhaps surprisingly, brisk and enjoyable performance. AWD Car - V5 turbo - 30+ MPG average. I choose this car because it has AWD, Also I love the option to open the little pass through in the middle of the back seat into the trunk. Great for hauling hockey stick, skis, and so forth. Love the backup camera, the slap stick shifter, the wheel paddle shift option is great and works with ease - Optimal view forward and rear - which aids in safety. The car is very reliable. I have no problems. I do the regular maintenance on it at the dealer. They always do an inspection and everything is ok. I m very happy with the performance of my Volvo. It never lets me down. This is my second one and I am looking at my third now. 2014 Volvo navy blue with dark gray interior. I love the comfort and performance of my Volvo. It also gets good gas mileage. It has many safety features. The only thing I do not like about it is that it is very low to the ground.